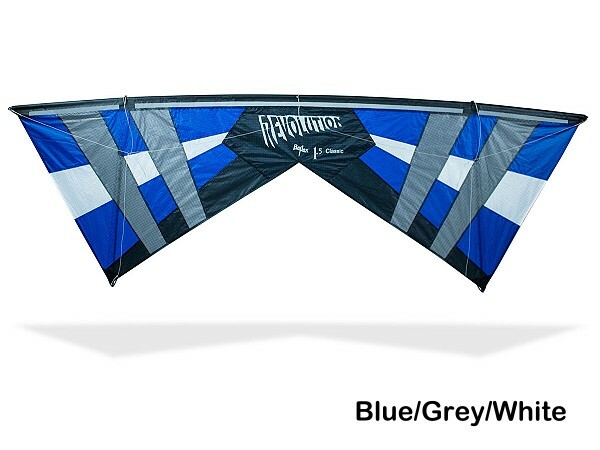 The Rev 1.5 has been updated to the new Reflex Classic 1.5. 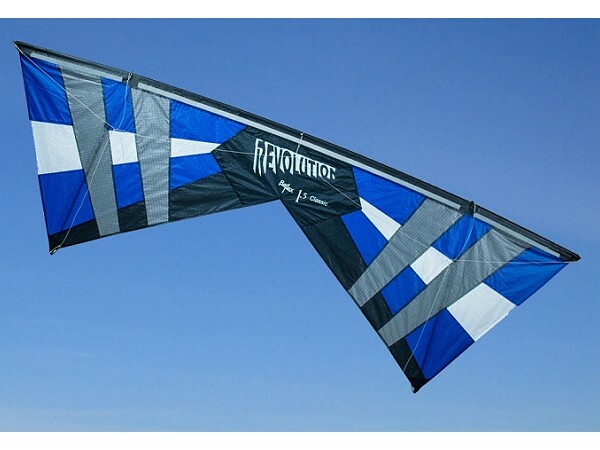 Still designed for precision and accurancy, it has a wide wind range making it the best all around Revolution kite. It's very responsive and will perform crisp clean manoeuvers. The new patented Reflex system allows the wing to dynamically change shape in flight, thanks to the new vertical shafts equipped with springs. This increases stability, wind range, and overall control especially under difficult conditions like light wind, turbulent wind and edge of the wind window. Quicker than the EXP with enhanced control. 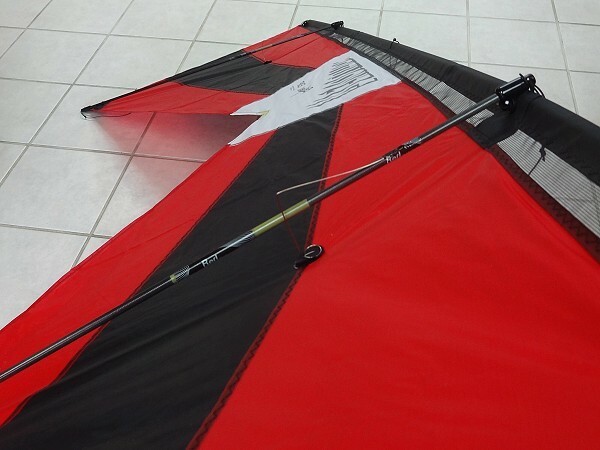 Includes an extra pair of non-reflex vertical shafts without springs. 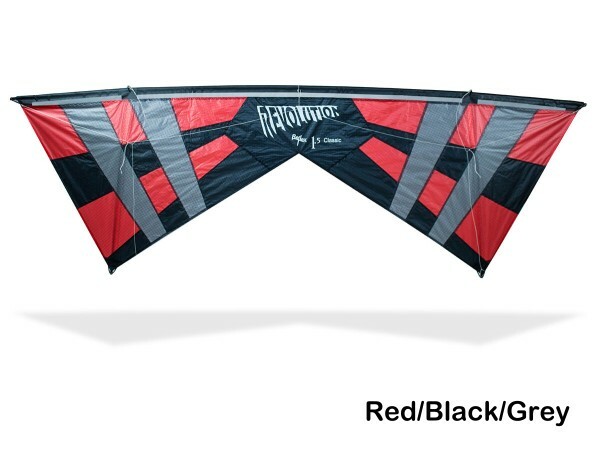 Size: 93" wingspan x 31"
Material: Rip-Stop Polyester with Carbon Fiber frame.